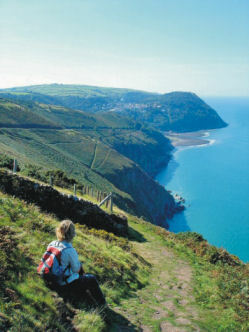 Wonderful walking in Britain’s Exmoor! And now – for Garmin users – download OSlike Custom maps for Exmoor, overlaid with the 40 varied routes from Walk! Exmoor. OSlike Custom Maps can be used in Google Earth, Garmin Basecamp and Garmin gps units.